Milan does not just open itself up to travelers. Milan wants to be explored and discovered. We are looking behind the scenes of one of the most underrated major cities in Europe. Italy’s second largest city has always been industrious. Located in between the axes of Switzerland—Rome from North to South and Turino—Florence from East to West, Milan has been a thriving fair city since the Middle Ages. As long ago as 1288, the city saw a population of over 100.000 people. At that time, it was on-par with London which today is bordering on almost 9 million inhabitants. Once industrialization set in, Milan irrevocably became Northern Italy’s power house number one. Population and productivity were exploding and Milan even triumphed over its nearby arch-rival, Turin. Known for its intense automotive industry (Fiat, Lancia), Turin comes in second after Milan, thus sparking a generation-long competition between the two cities. Going back all the way to the year 1967, matches between Juve and the AC are the most intense football derbies in the whole country. In fact, the rivalry between the cities’ largest football clubs Juventus Turin and AC Milano is locally known as the one derby of them all, the Derby d’Italia. The fashion industry, however, is the one field of business where the more working class Turin poses no threat to Milan whatsoever. Exerting more influence than Paris and New York City combined Milan has brought about some of the most renowned brand names in fashion that the world has ever seen. 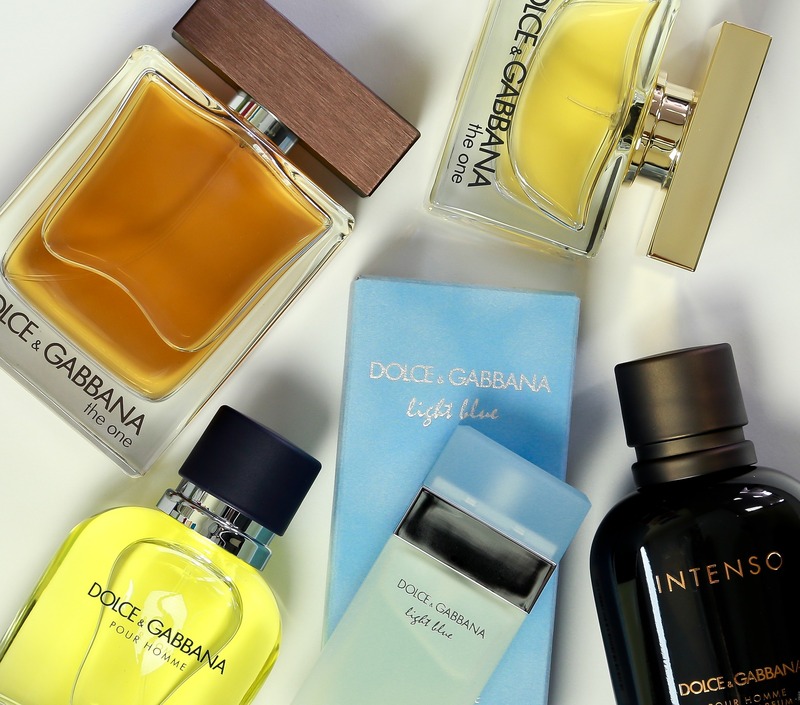 Armani, Versace, Dolce & Gabbana, Prada and many others are based in the city that undeniably is the fashion capital of the world. As if Milan’s unrivaled standing in fashion, luxury items and design would not be enough for a city of ‘only’ 1,3 million people, Milan has was also the domain of painter, sculptor, architect, mechanic, pioneer, poet and philosopher, Leonardo Da Vinci. Da Vinci, creator of paintings such as the School of Athens and the Mona Lisa, grew up in Florence and was mainly active in Milan from the years of 1482 to 1498. 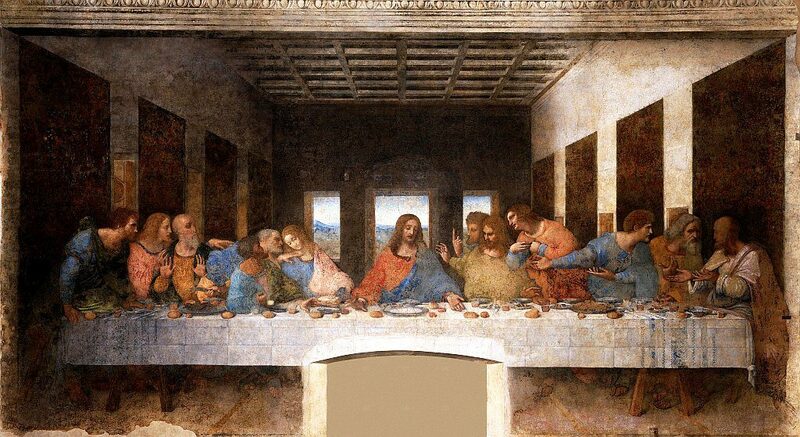 During this 16 year period that Leonardo spent in Milan, brought about world-renowned paintings like the 4 x 10m Last Supper that took more than 4 years to be completed and that marks the climax in his career as a painter. With so much commercial activity Milan is not only Italy’s business capital – Rome still remains its political while Florence claims the title of being Italy’s cultural capital – the city’s commercial portfolio is in fact highly diversified. Naturally, it’s Milan’s fashion industry that plays the most prominent role in the city’s economic performance. Yet fashion is not everything. Milan is also the home of enterprises such as Pirelli (tires), Campari (drinks) or Alfa Romeo (cars). In addition, its heavily industrialized metropolitan region houses a striking number of further high-profile corporations. Weapons manufacturer Beretta – just to name one – is located in the nearby town of Brescia, 90 minutes away from the city center of Milan. With now seemingly endless options of things to do in Milan, no one should be deterred from its reputation of being a – for Italian standards, after all – rather cold and distant city. Once you are aware what is out there, Milan becomes more of an intriguing quest, rather than an anonymous commercial hub. This article is your starting aid to break through the alleged ice of Europe’s most underrated metropolis and to see what the city really is about. Andiamo! …we are introducing a brand new venue that stays in the frame of fashion, art and culture, but still sets itself apart. Located in the Tortona area that lies in between the downtown district and the popular Navigli nightlife Armani Silos opened in April 2015 and is the name of the official Giorgio Armani Museum. On four floors and on a total of 4500m² does the museum showcase the life and work of Re Giorgio (‘King Giorgio’), as Armani is often referred to by the Italian press. If not a king, then in any case has Armani been a pioneer in men’s fashion: after moving to Milan in 1949 to initially study medicine, Armani has been active in the fashion industry since the early 1950s and is renowned for establishing the very idea of male fashion. Before Armani most men dressed either in a working class style of practicality or in an aristocratic one that featured anything from gaiters to top hats. Armani established a middle-ground, making style and fashion obtainable for men, both without bearing the stigma of becoming effeminate or a decreased quality and style of clothes worn. The museum is located right on the compound of the Armani corporation so even if looking at sketches, past collections and hand-made accessories by Il Re is not for you then in any case will it allow you to you see Milan in a wider picture: the same building that houses the 4-story museum partly serves as a catwalk location for the Milan Fashion Week. In short, you can get a good idea about the city’s number one event by just wandering around the impressive building and the adjacent compound. However, if you are interested in fashion and design then the museum will be a goldmine to you. Not only will you be able to go through unreleased material and the whole 40 history of Giorgio Armani, the museum also offers free workstations, i.e. your own desk to do research in the Armani archives located right within the museum (reservation required). And naming the museum, somewhat unfashionably, Silos? Let us hear it from King Giorgio himself: “I decided to call it Silos because this building used to store food, which is, of course, essential for life. For me, just as much as food, clothes are also a part of life.” And indeed, the museum acts as nutrition to anyone looking for a key to the city of Milan. 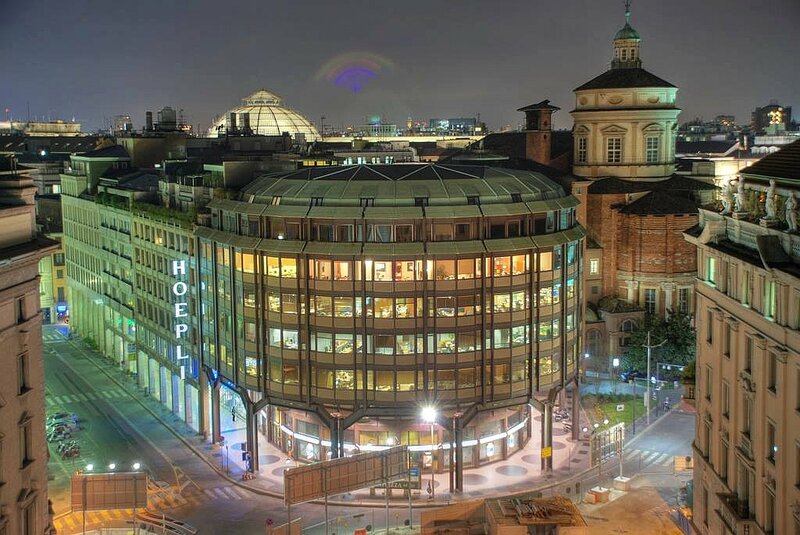 Founded in 1870 by Swiss publisher and book dealer Ulrich (‘Ulrico’) Hoepli, Milan’s largest bookstore has more than 500.000 book titles on display. Located in the absolute center of the city right across the prestigious shopping center Galleria Vittorio Emanuele II the Libreria Hoepli is a perfect resource for any book even mildly related to Milan or Italy. If you are looking to read Machiavelli, Croce or even the late Umberto Eco without sense-altering translations then the Libreria Hoepli is the place to go. And whatever title they might not have in stock, they will order within 24 hours the latest. The famous book store also shows Milan’s close distance to Switzerland. Brought into life and still run by the heirs of its founder, the Swiss-born publisher Ulrich (‘Ulrico’) Hoepli, the library has elusive sections on English as well as German and French publications – both of the latter being dominant languages in nearby Switzerland. For Italians, eating is not a means to an end. What in Europe’s Protestant countries might be seen ast a merely bodily desire that can be fulfilled “on-the-go” and with mediocre effort. In Italy, eating is a deeply social act that is shared and embraced in the presence of peers and family. Similar to Spain nightlife in Italy is prolonged to the later part of the evening. The majority of nightclubs will open at around 23.00, yet midnight is about the right time to start your big night out. This leads to the question of how Italians deal with the time window from around 18.00 to until the night takes off at 00.00. How do locals spend the last six hours of the day that are neither daytime nor really night time? The answer is anything but surprising: As Italians dining will play an obvious role in passing the time. And so will socializing and getting together with friends. All that is left now is to bring the nation’s favorite pastimes together et voilá, Italy’s unique aperitivo culture is born. In fact, the people of Milan were not the first in the country to engage in the after-work ritual that combines getting a bite to eat with socializing in a casual atmosphere. making out the actual origin of aperitivo culture seems an endless undertaking as the tradition reaches back to ancient Rome where appetite-inducing drinks based on vermouth were a common sight. Today the aperitivo is popular in all major cities of Northern Italy, with Milan being a definite stronghold of this intrinsic Italian tradition. The term that reminds of either a drink or antipasti actually stands for both: from 18.00 on an abundance of bars and cafés will sell the aperitivo – often a mix drink on the base of bitter liquors such as Campari or Aperol so that sweetness and sugar will not spoil your appetite – at a slightly increased price. As the upside to the deal the new price of 8-14€ for the drink will get you get access to an all-you-can-eat buffeet teeming with local specialties. Depending on the venue and the price charged for the cocktail you will encounter anything in between 5 to 25 different dishes, ranging from fresh bread, antipasti and minestrone to stews, parma ham, salads, gratins, pizza, pasta, seafood and eventually fresh fruit, deserts and sweets. Out of the thousands of bars and cafés offering this unique version of happy hour Milan’s Deseo Lounge stands out. Located right at the Arco Della Pace, Milan’s triumphal arch at the West End of Parco Sempione (below), Deseo Lounge lies at the other end of the city center. The 15 minute walk through Parco Sempione, if you set the Duomo, Milan’s famous main cathedral, as your point of departure, nonetheless is a well-rewarded investment: Deseo is a classy and well-frequenteed in-location with a cosmopolitan interior and a young-professional clientele. The aperitivo offered by Deseo can be considered one of the best in the whole city as it comes with no less than than 18 different treats to choose from. There is a reason Milan is called the capital of worldliness. With that fact in mind it is no longer surprising that the buzzy fashion capital also is the home to one of Europe’s most distinguished Jazz Clubs. Located in the district of Isola (‘island’), an actual island in the north of the center, the Bluenote Jazz Club has its home in an up-and-coming artists district. And as we are in Milan Isola’s local artist scene is by far not limited to street art or graffitis. The latest piece of art to leave a distinct mark in the district are two brandnew high-rise buildings that basically resemble a symbiosis of forest and building. The Bluenote Jazz Club can be found in the midst of that art-enthusiast part of Milan, a good 15-minute walk from the center area around Duomo. The club itself “is part of the Blue Note network alongside the historical Blue Note Jazz Club in Greenwich Village New York City and the Blue Note Clubs in Tokyo and Nagoya, Japan”, as the club’s website points out. While the original club in New York City might be larger and more well-known, its Milan-based younger brother is catching up fast. Big names like Grammy winner Kenny Garrett, Stanley Jordan or Raúl Midó are frequent performers in Milan. While the club has a slight emphasis on Post-Bop and small-combo Jazz it is crucial to check with the club’s schedule to ensure the evening’s performance is something you will enjoy. With average prices in between 24€ to 33€ (food not included) tickets can be ordered via phone (below) or online through the club’s website. While finding your own locus amoenus in the midst of the hectic city would allow you to re-energize, Milan does not throw its reviving side at you. In fact, it does quite the opposite. The busy commercial hub that it is, Milan suffers from a problem that in Europe has to be considered unique: the city struggles with a severe smog problem. Air pollution in Milan has gotten so out of hand that in 2015 the city council banned all motorized vehicles for six hours in three days. Surprisingly, smog alert seems to be raging in Italy alone as apart from Milan only Rome is seeing a similar problem. Yet Milan would not be Milan if it did not have an ace up its sleeve. Said ace is Parco Sempione, the 386.000 m² city park in the very heart of the city. Built in 1888 the park connects Sforza Castle on its East end with the Arco della Pace on its West end. The in-between is the only larger area in the city to be entirely smog-free throughout the year. It is also covered entirely by a well-functioning WiFi that can be used free of charge. The park itself is traversed by ponds, canals and newsstands and foodstands selling everything from drinks and crepes to delicious panini, a grilled sandwich made out of ciabatta bread. As Parco Sempione is well popular with the locals and can even get crowded at times it is noteworthy that its locus amoenus can be found a little to the side, half way in to the park. Located inside an 1905 Art Nouveau building – the only one that is still standing from those erected for the 1905 world fair held in the city – is Milan’s Civic Aquarium. The small but unique venue features over 100 different types of underwater life including a full coral reef. Stroll around the many tanks and enjoy the soothing effect of hearing water trickling slowly.